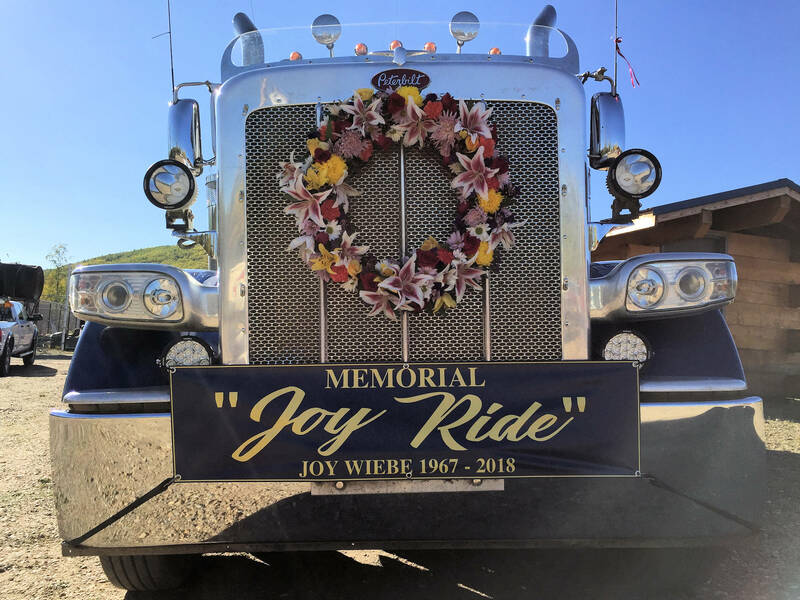 Jack participated in the Joy Wiebe Memorial Truck Convoy last Saturday that started at the Colville yard (Joy worked for Colville) on Van Horn Way and ended in Fox for a gathering. 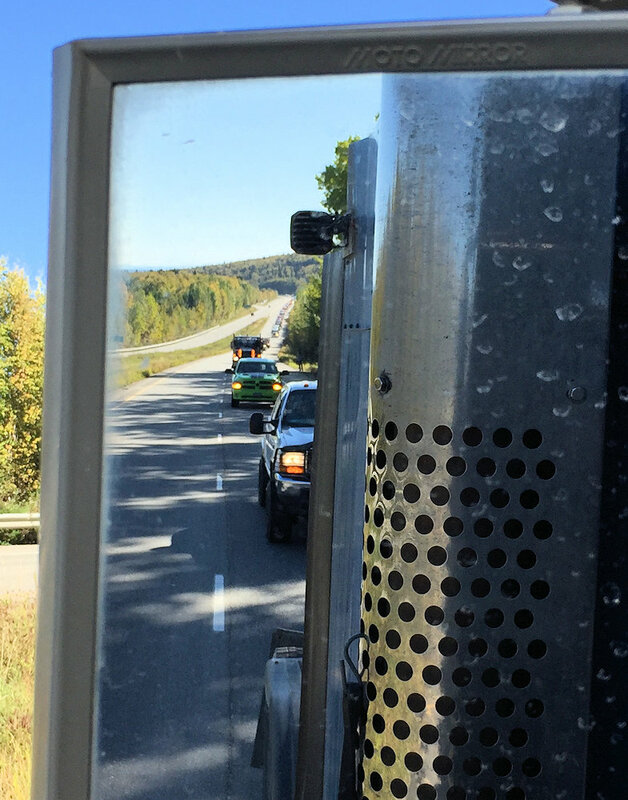 There are 4 videos here with the 1st, 2nd and 4th being sped up versions of the convoy, as viewed from the dash cam in Jack’s truck. 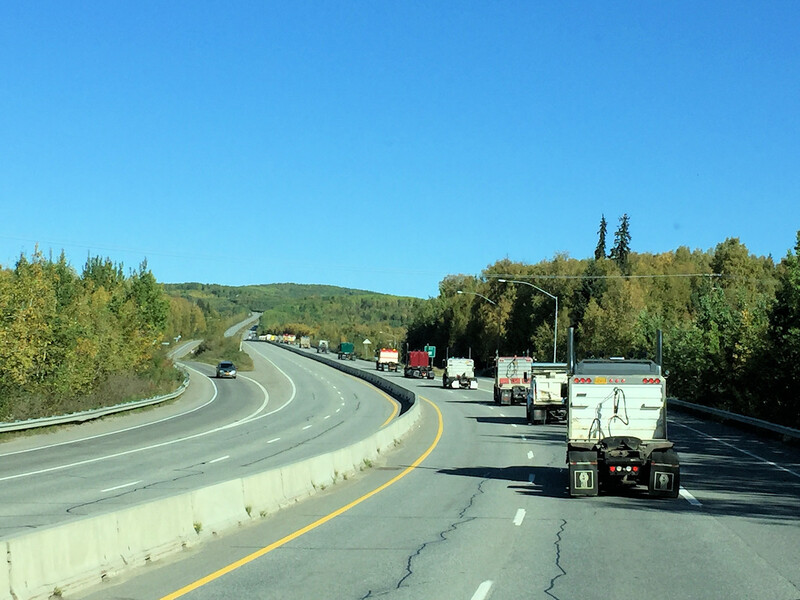 The 3rd video in the sequence is “Joy’s Last Call” and comments from truckers over the radio, then the convoy goes by the pipeline viewing station where many onlookers are gathered and Jack lays on the horn like he was told to do. 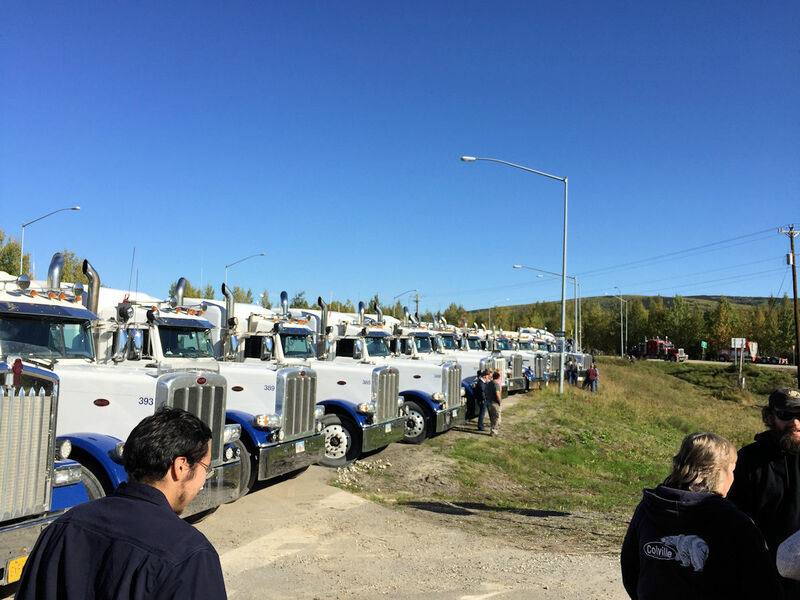 There were 70-80 trucks in the convoy. 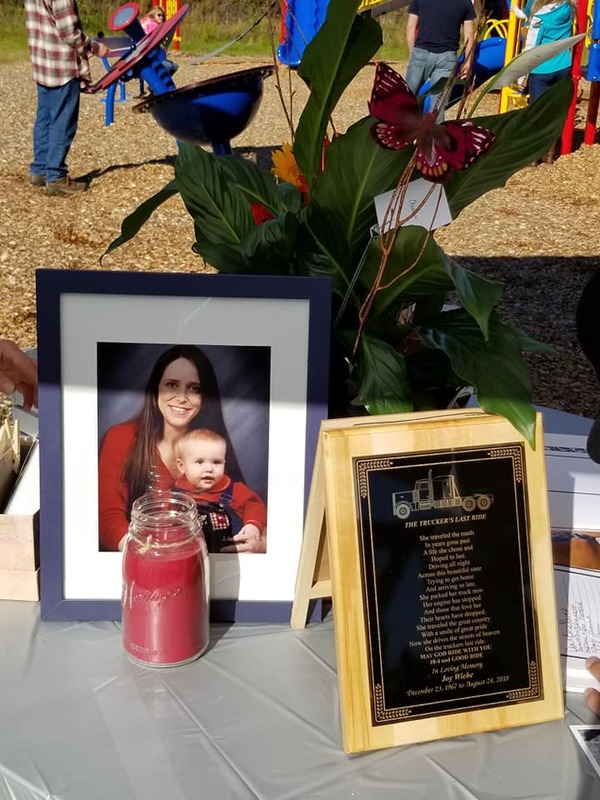 Below are the videos of the Memorial “Joy Ride” and here are a few photos Jack took of the procession and gathering. If you aren’t interested in the sped up versions of the convoy and just want to see the real time comments on the radio just watch video #3. Some of you have requested clips where you can hear real audio from the road. Here are two mixtures of clips with real audio in real time. You can barely see the surrounding hills and mountains while Jack drives during a snowfall. Just a nice calm driving experience with a little music to make it more interesting. 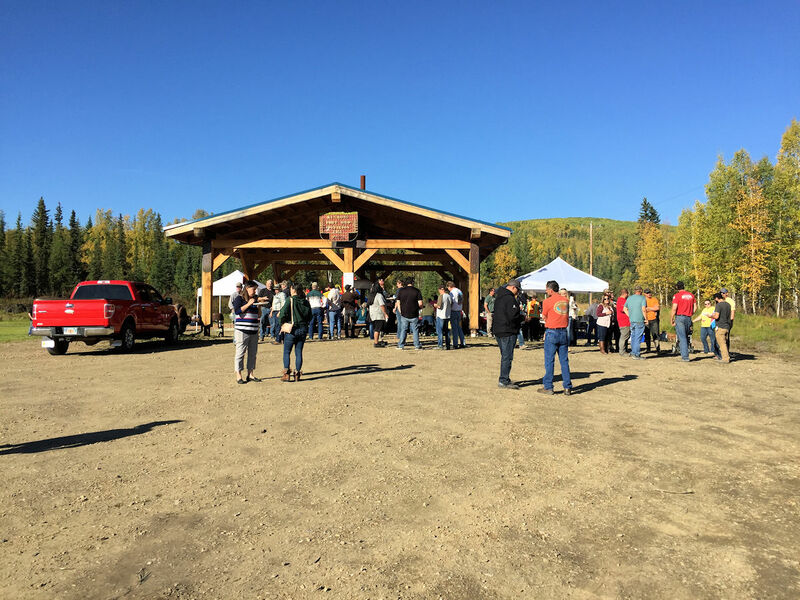 Theoretically, a boring event…unless you set it to music! 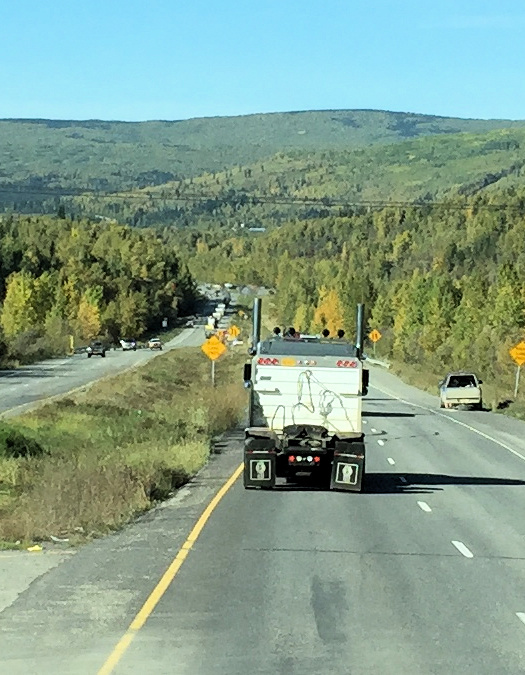 Another video, this one spending a few minutes at the parking lot in Coldfoot before he heads down the road. Jack drives by Pump Station 2 on the left and then some storage units on the right… otherwise it’s just him and the road. Life could be worse!